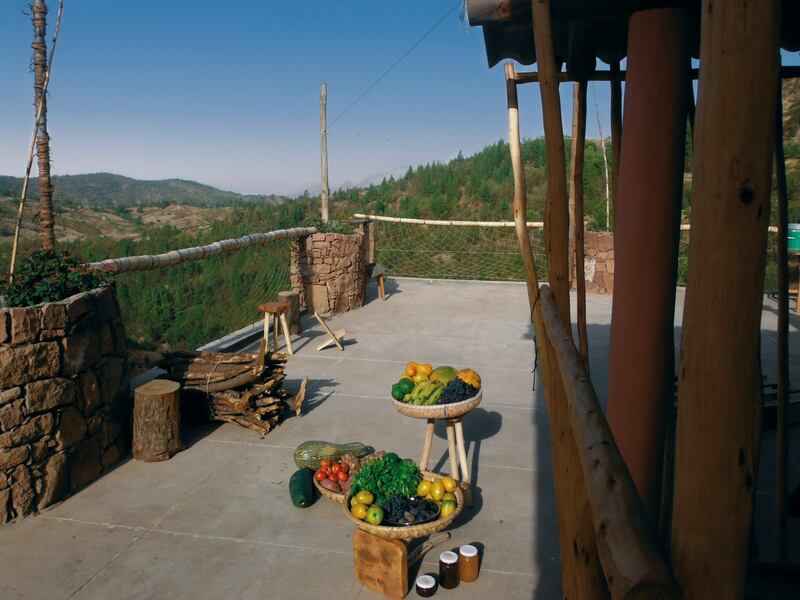 Casa Espongeiro proposes traditional or more adventurous meals, based on the availibilty of local produce. You can either eat in the restaurant or outside on the panoramic esplanade. Here, the bread and delicious ice-cream made from local fruit are homemade. You can also purchase fresh or matured goat cheese. Eating at Casa Espongeiro is optional, in fact the economical impact of your stay is best shared with the village community. There are three « mercerias » (little supermarkets) in Espongeiro where you will find biscuits, some canned food, drinks and sometimes bread. The aim of Casa Espongeiro, apart from providing the family with a living, is to stimulate sustainable growth in the local community with the creation of new activities such as the project of setting up of a craft manufacturing workshop (small toys, souvenirs of the Planalto, …). Our guesthouse doesn’t fit for babies and kids till the age of 7 years old. Vegan and vegetarian meals can be prepared if booked in adavance, however it is difficult to find meat substitute. The economic survival of the Planalto is based on small scale family breeding of livestock and seasonal crops of corn and dried beans. Dish of the day (one plate) : 450$cve. Full diner: 1100$cve per person. Pic-nic: 450$cve per person. It is best to warn us in advance as to what might be required as obtaining supplies is not always easy in our mountains. See « Reservation » below. Includes delicious homemade local fruit juices, coffee, tea, infusions. All kinds of drinks such as : beers, grog of « cana-cana » quality, molasses « mel », various punches (rum-arrangé) but no industrial fizzy drinks. Wi-Fi is available since 2016 March, with 3G . According to the local weather conditions, its quality is variable. Its access is limited. There is no water on the heights of Planato Leste, and the cost of a water supply is much higher than on the rest of Santo Antao. Therefore machine washes are to be prefered to hand washes in the sink of your bedroom, but an ingenious hand-washing facility is available on the top esplanade. Machine wash fee = 200$cve per kg. The left luggage facility is free for customers. There are luggage transfers (for a lighter backpack) to your next stop-over, via a capable and serious transport service. Free road-book : avalaible for our guests to guide you, on your own, through the diversity of singletracks, surrounding the village of Espongeiro. Difficulty : medium to easy, declivity : 200m to 1400m. Time 40′ to 7 hours.